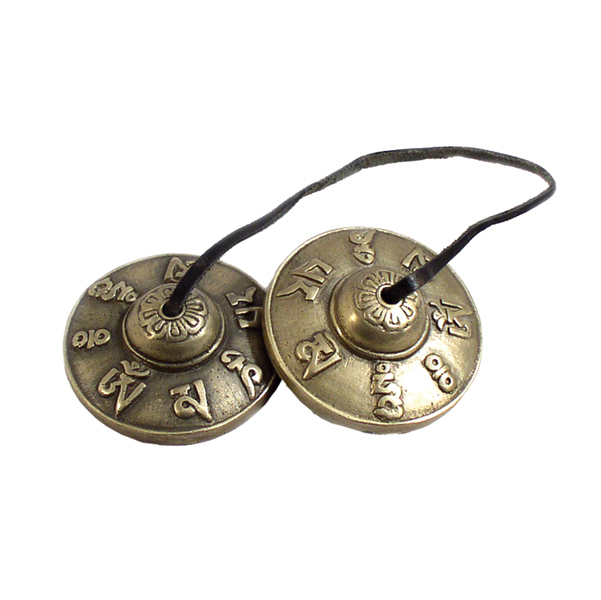 Tingsha bells when struck together, make a pure clean note that awakens the spirit and spreads a sense of peace. 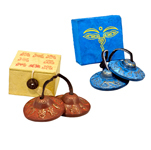 They are the perfect way to begin or end a yoga or meditation session. Surrounding the golden bell are the symbols for om mani padme hum.